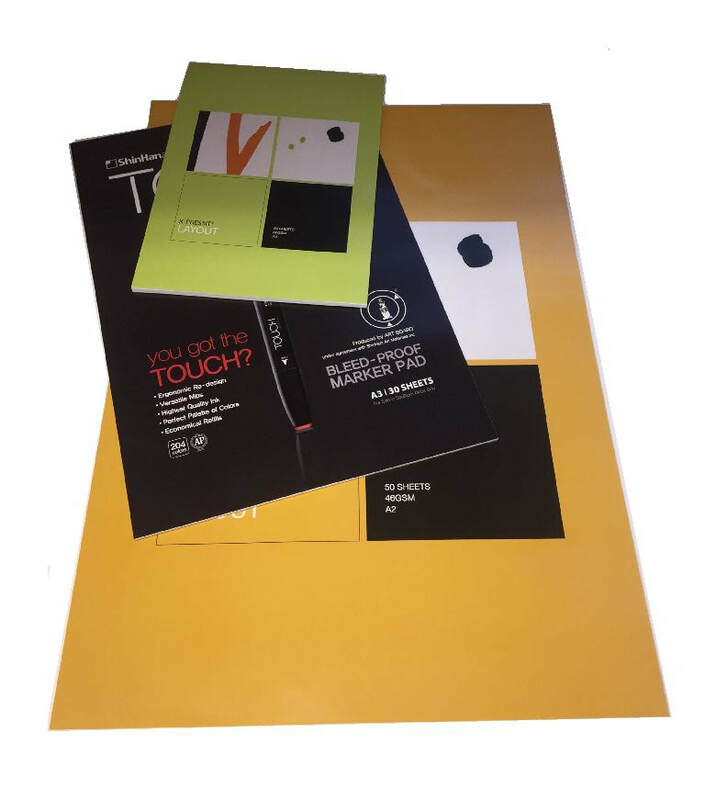 Butcher paper, also known as bumpf, is a light weight tracing of between 40-50gsm. 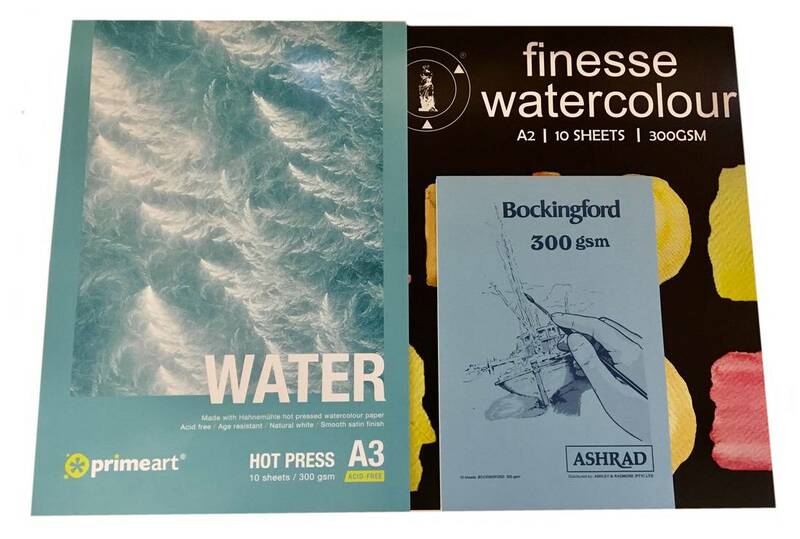 Sold in pads of A2, A3 and A4 and loose sheets A1 and A2. Layouts Pad, used for sketching and tracing, are available in 46 and 60gsm, in A2, A3 and A4. We also have 60gsm Bleedproof Layout Pads (recommended for use with Copic Markers) in A2 and A3. Range of sketch pads, sizes of A2; A3 and A4. 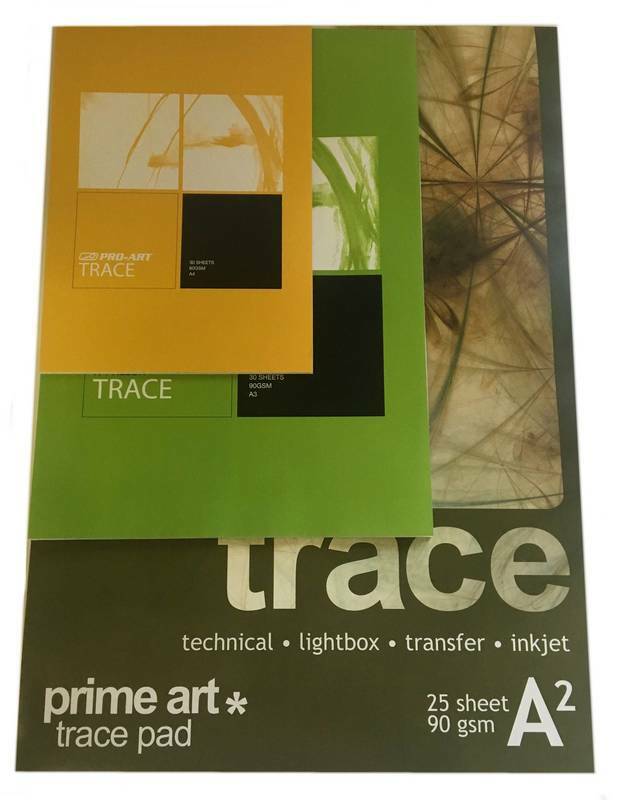 Prime Art Multi Media Pad: Medium tooth, acid free 200gsm pad. Prime Art Draw Pad: Acid free 160gsm pad. Venus Ultra Sketch Pad: Extra smooth, 200gsm pad. Pro- Art Student Sketch Pad: 120gsm cartridge pad. 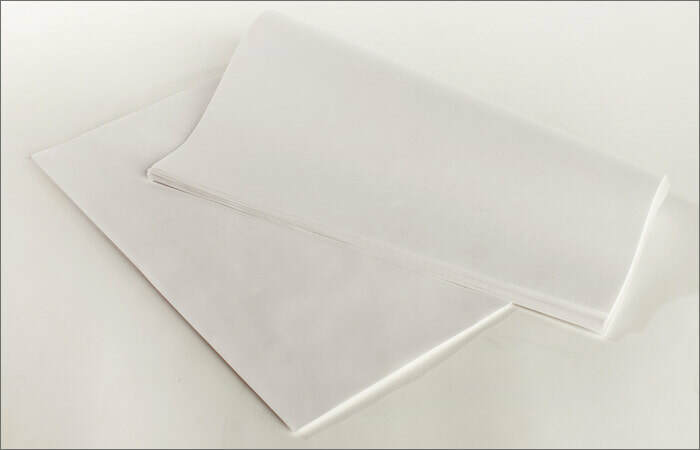 Trace Pads, are available in sizes A2; A3 and A4. Watercolour Pads, used for Acrylic and Watercolour paints.